Unless it is a perfect ambience, the experience of watching a movie remains incomplete even for the film buffs, who like to catch the latest movie on big screen. With the introducing advanced technology, innovators have adapted the movie going experience with the comfort and even 4D technology. Below, are some of the coolest and amazing movie theaters you have ever seen. 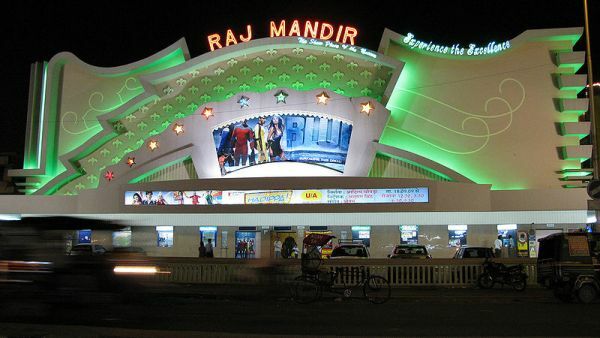 This Bollywood-boosting movie palace is built in the mid – 1970s and regarded as India’s top theater. The cinema looks like a huge pink cake, and is a tourist attraction in its own right. It is designed in the modern style, with extremely beautiful exterior design and eye-catching interiors. 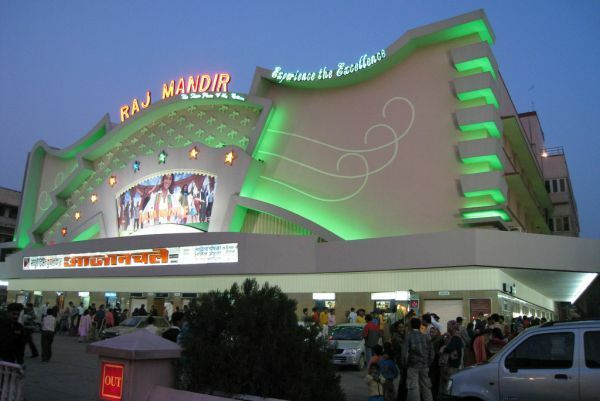 Raj Mandir is counterpart to the Grauman’s Chinese Theater in Hollywood, California, don’t miss to see this astonishing creation. 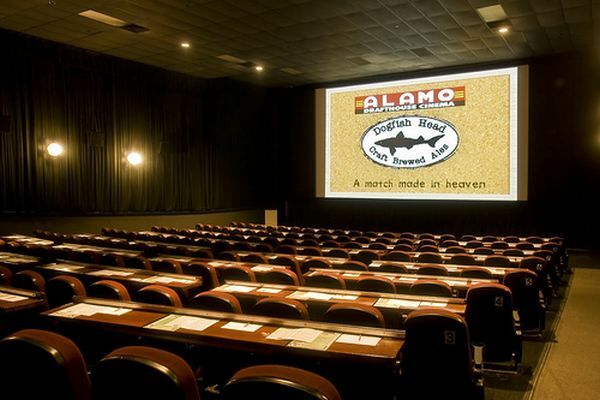 Alamo Drafthouse was founded in 1997 by Tim and Karrie, and has since expanded to be available in several locations. The Alamo theaters are quite different from other theaters in regard to policies. Audiences are not allowed to use their cell phone during the show and complete silence is maintained during the movie. Children under six are not allowed in the theater. Delicious snacks and cold beers are served for the delight of the visitors. This South Korean company offers the World’s first 4D technology-based cinema experience for feature films. By introducing movement, wind and water effects, the theater has taken movies to the next level. During fight scenes, the chairs move along and the effects are such that you will think the person sitting behind you is kicking your seat from behind. These realistic effects add novelty to the movie watching experience. 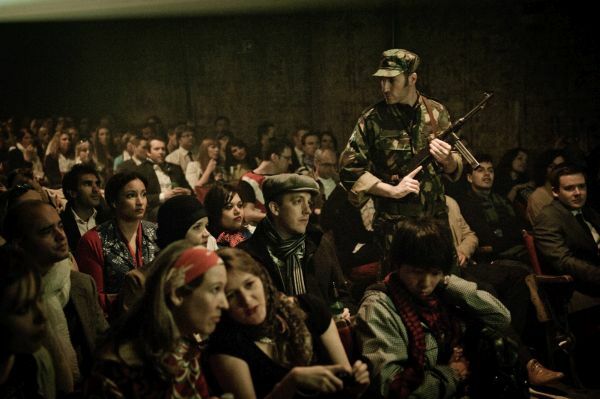 Secret cinema is a London based group that organizes monthly movie events wrapped in mystery. The organizers choose a costume and ask the audience to adopt a persona that goes with the chosen theme. Secret cinema does not have any particular location and the place is determined by the movie screened. Bangkok is a place that is full of fancy. The movie theaters are equal to the royal treatment. You have access to a colorful waiting lounge where free drinks, wines and beers are served with cute cakes. 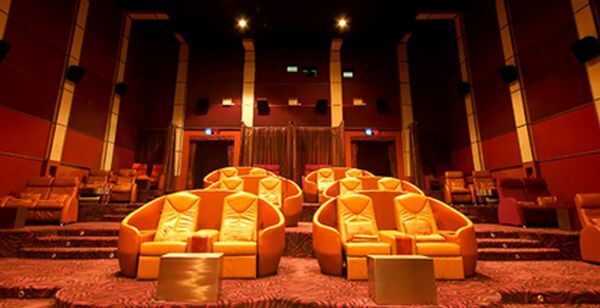 The opulent cinema also provides you with the 15-minute foot massage that comes with the ticket, some of the couple seats is set in by an alcove to isolate viewers from their neighbors. Seats come with a silky blanket and comfortable pillows, and when needed, they have the ability to turn into a bed. The theater matters at least as much as the show, from a theater that offers a large collection of wines to a film house with the comfortable leaning chairs. 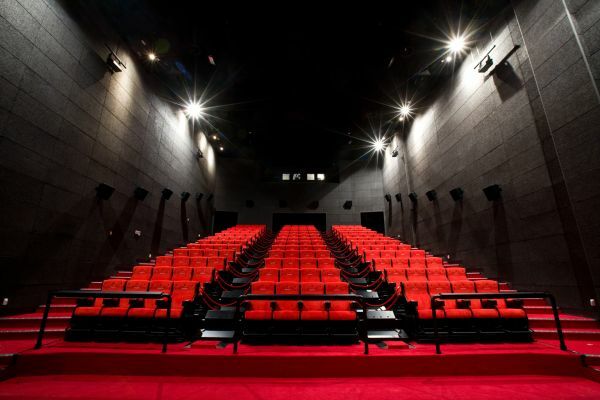 These theaters will make the movies an unforgettable experience for all the movie lovers.